Japanese tennis player, Naomi Osaka apologised for winning the U.S. Open after defeating home favorite Serena Williams in a contentious final. 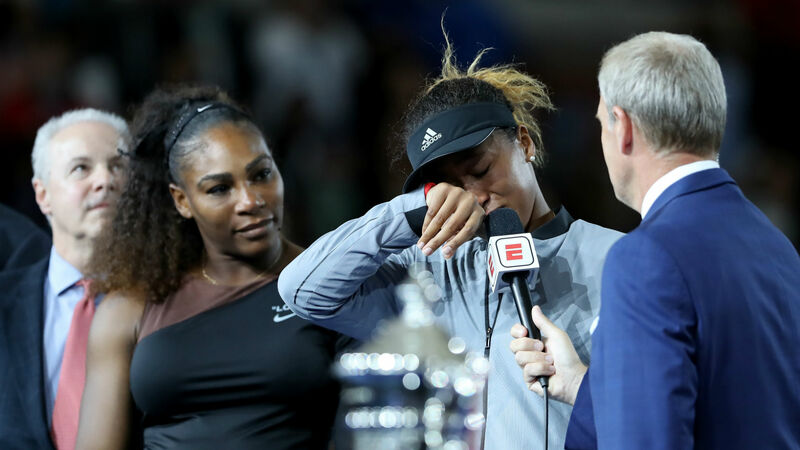 Osaka took full advantage as Williams, her idol, battled with the officials over a number of violations that saw her docked a game and had the 23-time grand slam champion choking back tears in the second set. The 20-year-old’s subsequent 6-2, 6-4 victory proved unpopular as the crowd at Arthur Ashe Stadium, who jeered the beginning of the trophy presentation, were angered by the treatment towards Williams. And having been comforted by the American great, Osaka apologized to the fans and thanked Williams in an emotional speech. Asked how she found playing against her childhood hero, Osaka replied: “I’m going to differ from your question, I’m sorry.